The umbral phase of this total lunar eclipse began just a few minutes after moon rise. 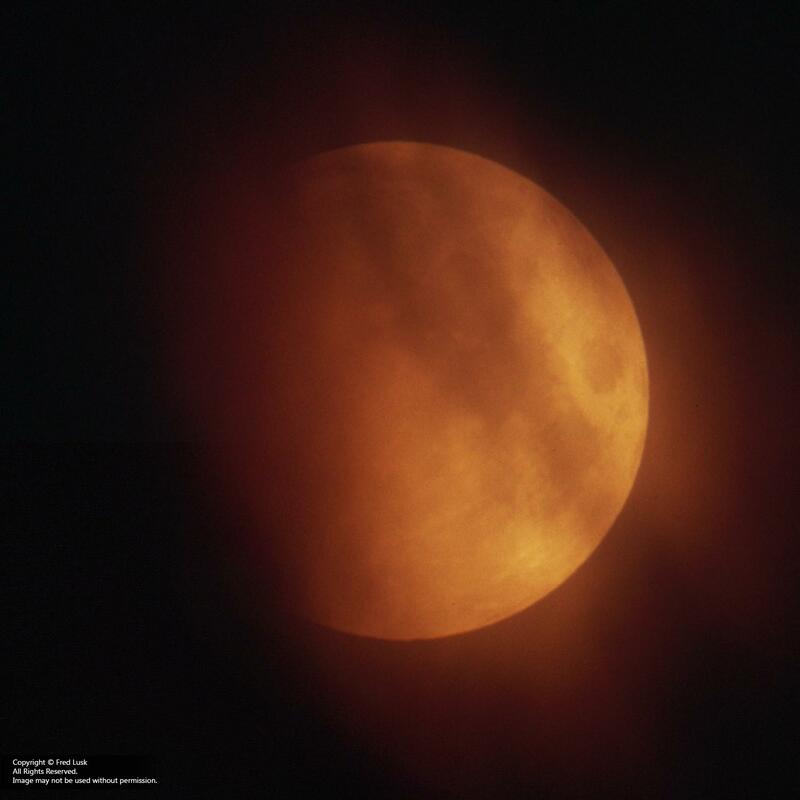 Thin clouds were hanging around the eastern horizon, so our early views of the eclipse looked spooky like this. In this image, Earth's shadow has only taken a small bite out of the Moon (lower left). Film: Kodak EliteChrome 200. Exposure data is missing, but this was probably around 1/60 sec. Slides were scanned by Boot's Camera.